What’s the fundamental reason why billers send statements and invoices? The obvious answer is that it prompts their customers to pay. But, what additional value can a biller offer their customers via the eBill (while getting some benefit in return)? Ever been to a coffee shop, a restaurant, or an ecommerce site and seen an option to pay with your phone? Ever wondered what that’s about and how it works? Ever tried it? Secure mobile payments are possible thanks to the emergence of technologies such as the digital wallet. It’s a cash and card replacement; a transformation in the way customers pay for things. And with nearly as many mobile phone subscriptions out there as people (6.8 billion cell phones vs 7 billion people), this technology is on the growth path, giving users a new and secure way to pay. Customers love it because it’s easy, convenient and safe. Billers love it because it’s a fast way to get paid and they have more protection from fraud. But, you’ve only ever seen digital wallet service offerings for store purchases, or eCommerce transactions, right? If you’re in the US, you may have seen or even used your device’s NFC capabilities in conjunction with your digital wallet of choice to buy goods. Examples include Apple Pay or Android Pay. If you’re in South Africa, you may have seen funny QR code images displayed at check-out points (online or in store). 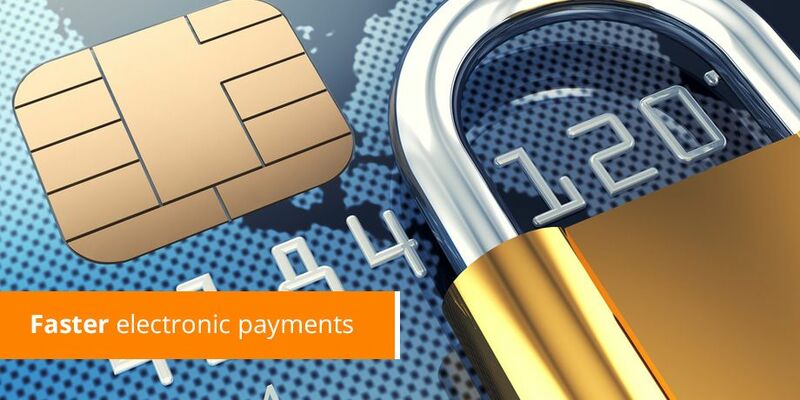 You may have used wallets such as PayU, SnapScan or MasterPass for example. These are all geared at commerce though. How can this work with a personal bill that is emailed to your customers where a unique amount is owed? For example – a cell phone contract, credit card statement, utility or pay TV bill? It’s quite simple really. Let’s look at the QR code as an example. All-in-all the 2016 Billentis report paints a rosy picture of continuing development in the eInvoicing and eBilling space. Governments, vendors, large billing organisations and SMEs are all adopting new electronic processes as they strive to reduce costs and increase completeness and accuracy of information. The harmonisation regulations in the EU space will fuel further development in the sector and improve cross border data flows and payments. With specific reference to the EU market, the ‘Fat Tail’ of eInvoicing, representing over 90% of invoice numbers, comes from SMEs where the ease of sending PDF documents (now including an XML structured data layer) will drive the paperless agenda for many years to come. eInvoicing networks are beginning to accept that they will need to be the conduit for the data that is contained in these invoices and will have to create the same exception handling processes, but using the ubiquity of email. This market is only just starting to gather momentum…can’t wait to see what the next 5 years bring!